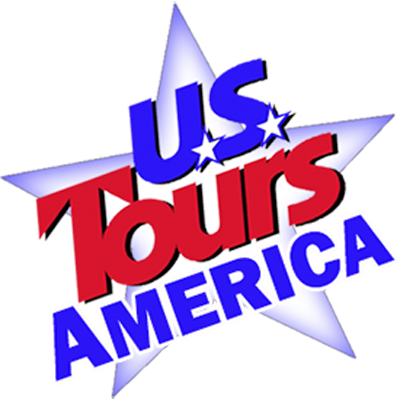 This tour of Lafayette and St. Martinville, LA features narrated touring, Atchafalaya Swamp tour, Acadian Village tour, Rip Van Winkle Gardens & Avery Island Jungle Gardens, Evangeline’s Grave and much more. Day 1 – Lafayette, LA – Arrive in Lafayette, LA. Check into your hotel for a three night stay. Dinner is on own this evening. Live Oak Society, an organization dedicated to the preservation and appreciation of mature live oak trees in the United States. You will also have time to tour the Cemetery and Cathedral Museum which commemorates the persons and events that contributed to the history of St. John Cathedral Parish which spans 185 years. This afternoon you will visit Lafayette’s oldest authentic vision of life in 19th century Southwest Louisiana. The Acadian Village is a showcase of authentic homes along a winding bayou which depicts the unique Acadian architecture of the time. The homes were restored on site and are filled with period antiques. Then you will take a tour of Atchafalya Swamp. Aboard one of McGee’s sightseeing boats your trip will take you into the interior of one of America’s greatest river swamps. Your tour guide will explain from personal experience, what it is like to live on a house boat or stilt house and live off the land… all while pointing out the local indigenous plants and wildlife as the tour progresses. Tonight, you will enjoy a Fais Do-Do at a Mulate’s Restaurant featuring Cajun food, live Cajun music and dancing. Locals will be on hand to teach the group Cajun dance steps. Day 3 – St Martinville – Avery Island – Today, you will start with a guided tour of St Martinville. Tour will include a visit to Historic Evangeline Oak, a walk on the Boardwalk along the Bayou Teche, St. Martin de Tours Catholic Church and Evangeline Statue, walk along the Historic District and the Evangeline Monument. Then you will travel to Avery Island, home of the only Tabasco Factory in the world. Here you tour the visitor center and the pepper sauce factory. Did you know that Tabasco is aged in White Oak Barrels just like bourbon? There’s a short film on TABASCO® history and a guided tour of our bottling and packaging operations. You can also spend time in the TABASCO Country Store, and check out a wide array of products and souvenirs for sale. The afternoon features a tour of Rip Van Winkle Gardens. This twenty five-acre semi tropical paradise features a year-round explosion of color where irises, magnolias, hibiscus, camellias, azaleas, thousands of springtime bulbs and a breathtaking array of annuals paint a landscape across the Southern sky. As you walk through the Gardens you will see many unusual plants and historic sites. The Jean Lafitte tree is one of them. Three buried treasure chests were found there in 1928. The treasure is believed to have been buried by Lafitte. The Joseph Jefferson Mansion was built in the early 1870’s. The Mansion is filled with period antique furniture and paintings. This evening you will enjoy an evening reception at the charming Alexandre Mouton Home where refreshments are served amidst a dazzling display of Mardi Gras costumes. The Alexandre Mouton House was built by Jean Mouton, founder of Vermilionville (present day Lafayette). The home was later occupied by his son, Alexandre Mouton, who became Louisiana’s first Democratic Governor. The home is a repository of period furnishings, historical and cultural memorabilia, Mardi Gras costumes.